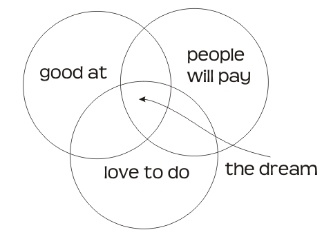 What people want most is to be paid for bringing their talents to the world, doing what they're good at and enjoy. Rebecca has been a certified professional coach since 2002. Before that she was in high-tech marketing and business consulting. She was once described as "an entrepreneur trapped in a corporate body." Always looking for innovative ways to look at a situation, she has evolved her coaching practice to guide people back to their innate talents and then bring those talents into their career. Whether you are part of a larger organization, or you want to blaze new trails, Rebecca can help.